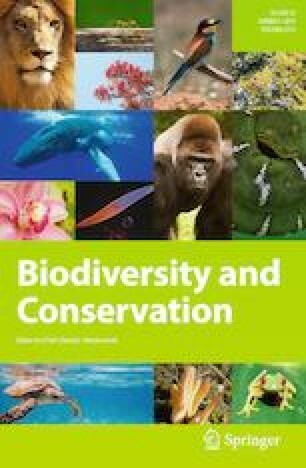 Prioritizing biodiversity conservation strategies is urgently needed. Surrogate species have been used for that purpose as a means to lower costs/effort to assess representation of other species important for conservation planning. Such strategy should include multiple species and habitats within a given landscape or geographic area. The use of surrogates provides an appealing shortcut to monitoring biodiversity as it enables an efficient use of limited resources. As a group, raptors feed on a very wide range of prey sizes and, therefore, on a high diversity of prey species, which should improve their surrogacy complementarity. The aim of this paper is to identify a suitable approach that can be used as an efficient surrogate of regional diversity in desert ecosystems. First, through assemblage concordance analysis we tested two alternative approaches either using: (a) a single raptor species or (b) the entire group of raptor species as surrogates of biodiversity. Second, through correlation analysis we also tested whether the species richness of single target groups (raptors, other birds, reptiles, mammals and plants), or of two-group combinations, was correlated with the pooled species richness of the remaining groups, and then determine each of the taxonomic groups as surrogates of the entire biodiversity at the regional scale. Four single raptor species showed significant concordance with the entire bird community but, overall, most comparisons between single raptor species and other taxonomic groups failed to show any consistent correlation. A remarkable finding from the single species approach was that the strongest significant positive association was that found between caracara C. cheriway and bird species richness. This raptor is a habitat and diet generalist, thus contradicting the hypothesis that specialist species make the best bioindicators. Raptor species were significantly associated with non-raptor birds, vegetation and rodents, but not with the mammal or reptile communities. Plant species richness showed a statistically significant concordance with most of the other groups except for reptiles. Reptiles were the group that showed less concordance with the others. Between-groups comparisons showed that the species richness was strongly correlated between birds and plants, followed by between raptors and birds; correlations between birds and mammals, reptiles and mammals and raptors and plants were weak albeit statistically significant. Species richness of some individual groups, namely other birds, plants and mammals, were significantly correlated with their corresponding remaining richness values. The pooled species richness of two-group combinations were strongly correlated for raptors and other birds, raptors and plants, other birds and mammals, and reptiles and plants, and their corresponding remaining richness. We propose an approach using the combined species richness of two taxonomic groups given the high, statistically significant correlation with their corresponding remaining richness in the Baja California peninsula and possibly in other desert ecosystems too. The online version of this article ( https://doi.org/10.1007/s10531-019-01721-y) contains supplementary material, which is available to authorized users. Thanks to G. Ruano, Abelino Cota and F. Cota for field assistance, and to Fabrizio Sergio, C. Gutiérrez-Cánovas and one anonymous reviewer for critical comments and suggestions that improved our drafts. This work was supported by a SEP-CONACYT México Grant (155956) to RRE and by CIBNOR funds. CGE received a Ph.D. scholarship (329819) from CONACYT México. RRE received a CONACyT sabbatical grant during the writing of this manuscript, at the University of Arizona.